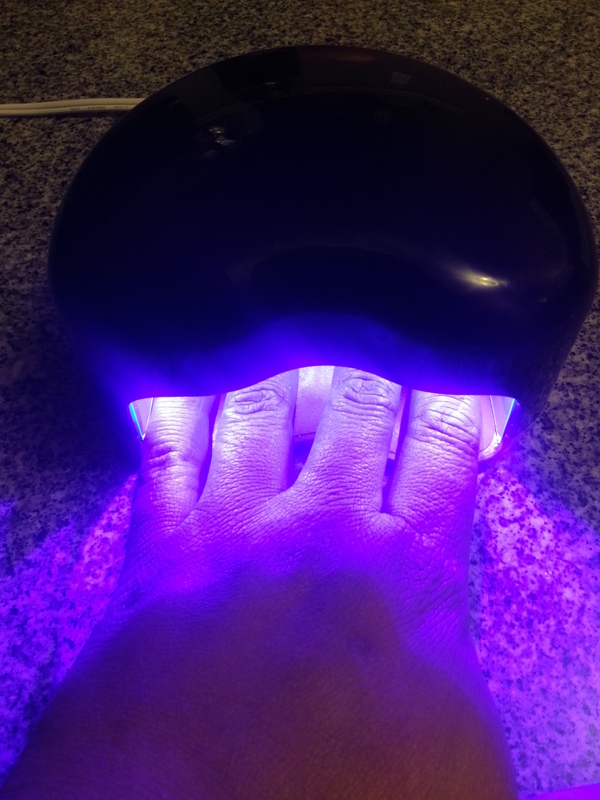 Shellac, which was originally used to coat floors and paint, is supposed to be the option if you don’t want to get UV gel or acryllic on your nails, but want them to last a bit longer than the typical 2-3 days of a regular manicure. 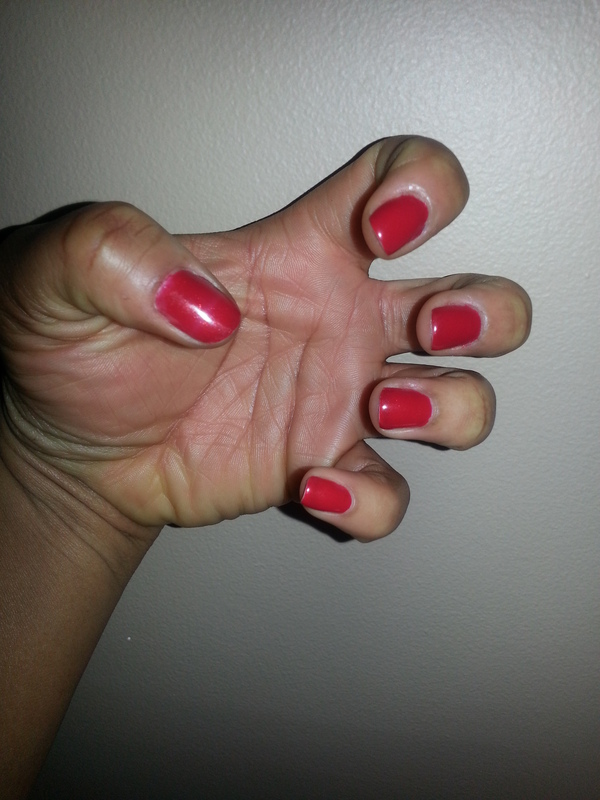 I’d gotten it done before at the nail salon and didn’t like it AT ALL. I’ve been told it’s all about who does your nail, so why not diy? I’m sure you’ve noticed that around these parts, we are down with diy. 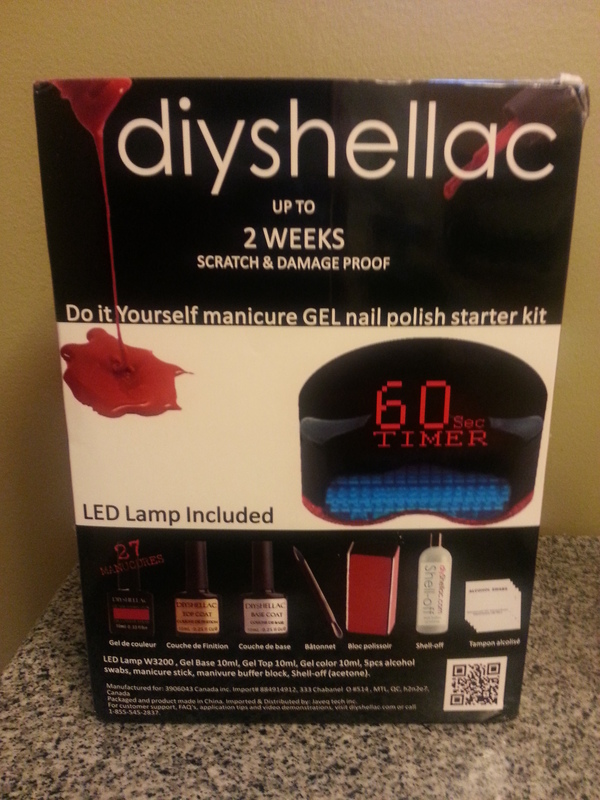 So I purchased a shellac kit through wagjag for a crazy discounted price of $69 from diyshellac, original price $195! It sounded too good to be true, right? Well when it arrived, I was pleasantly surprised. The entire process should take about 7 minutes per hand unless you’re watching TV like I was. Later on in the night, I noticed the surface had gotten a little tacky and was getting disappointed. (Had I read the last bit of the instructions, I would have seen that they said to wipe the nails with an alcohol swab to get rid of the tacky feeling). But once I washed my hands with some warm water they were lovely and shiny. My nails were still lovely a few days later, which was nice. But then it would appear I got too excited too early, because alas….. In searching for something in my purse, the polish chipped and I was able to peel it right off. Womp. The only good thing about that is my nail was not destroyed in the process. So I polished it again later that evening and thought I’d let this one mishap slide. Then I reached the one-week mark and was officially antsy. I wanted a new colour and there was no budging these nails! None of the other nails had chipped except for some wear and tear on the very tips on my right hand (expected since I’m right-handed). The colour still looked good and I was officially impressed with my investment. I wasn’t too worried about removal because the remover was provided. I just had to soak my finger for a couple minutes in the shell-off and the shellac could be removed (scraped off) fairly easily. I tried the second colour, but I didn’t like it as much as the first. The texture seemed different – almost thinner. I used to base and top coats with my regular nail polish as well, which got good results. I did find it was better when I didn’t polish my nails the same night as applying the base coat; the texture was tacky and lumpy. It looked much nicer when I tried applying the base and top coats the night before and my nail polish the next day. I’ve got to say that I’m happy with my purchase. Now I can try out other nail products (hmmmm gel strips anyone?) and I have my handy lamp here to use for drying and setting the polish. 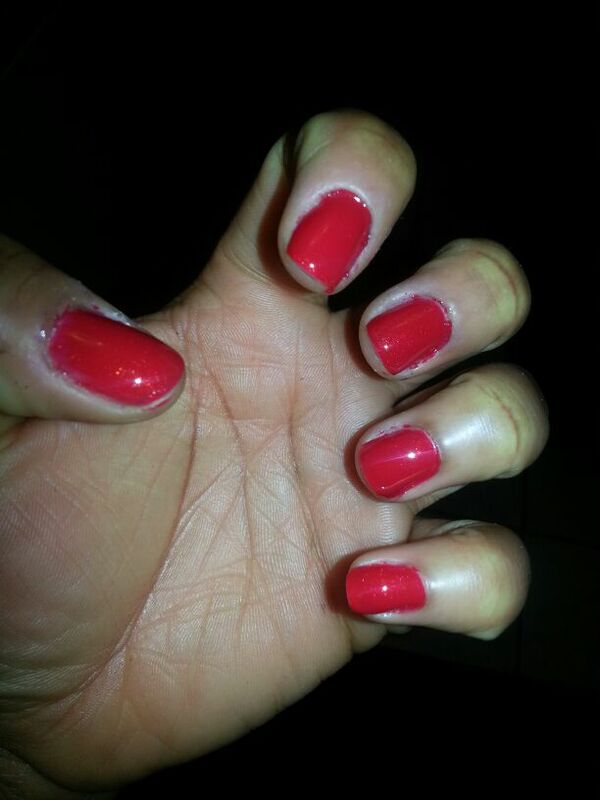 Have you ever tried shellac nails? Ever done it yourself? Did you like it? Leave your comments below! 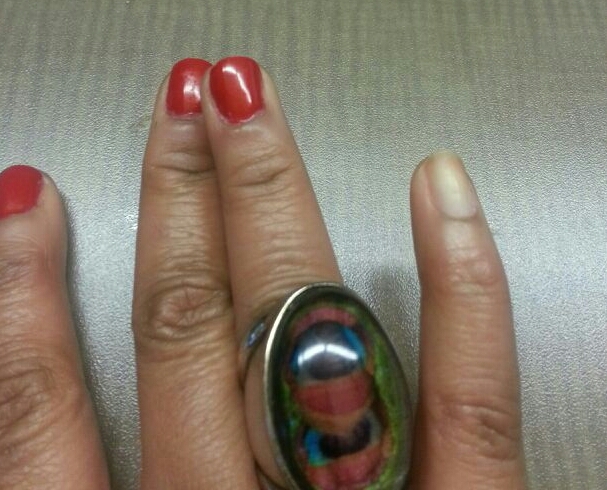 If your shellac polish chipped only a few days after you applied it, chances are your coats were too think. You need to apply very thin coats when applying shellac or it’s known to chip. Also, to get rid of the tacky/sticky stuff that builds on your nails after it applies try Quo’s gel cleanser. It comes in a small bottle and can be found at shoppers drug mart. It’s only 5 dollars and all you need is a very little bit on a cotton ball. You rub this on your nails right after you take them out of the UV lamp. I’ve had my kit for over 6 months and I love it. It also saves a lot of money, the results are as good as they would be if they were done at a salon, if applied properly. Thanks for your suggestion, Rosanna! It was my very first time doing it myself so definitely a lot of trial and error was expected. All in all, I like the kit a lot and have improved my technique since the first application when I started the review. It’s also good for those who would be interested in trying for their first time to not get discouraged. Thanks for stopping by and commenting! For a quick solution when removing the shellac polish, you can also bit a cotton ball in nail polish remover, place this over each nail and wrap with tin foil. After having it on your nails for 5 to 10 minutes you can remove the tin foil and cotton ball, the shellac will be very soft and easy to remove. As for the gel strips, I don’t recommend them. They need to be trimmed to fit each of your nails perfectly, which can take a lot of effort and time. If it’s not cut to size they will peel at the edges in no time. Can I just point out how gorgeous that ring is! I HAVE THE RED CARPET GEL NAIL KIT AND I DO LIKE IT AND IT DOES LAST THE ONLY PROBLEM IS IF YOU DO GET IT ON TOO THICK OR DO NOT COVER THE ENTIRE NAIL IT WILL PEEL RIGHT OFF!TAKING IT OFF WAS NO PROBLEM AND I GOT IT AT ULTA FOR 79.00 THE POLISHES ARE 10.00 WOULD LIKE TO SEE MORE COLOR OPTIONS IN THAT SET BUT YOU CAN BUY ALMOST ANY BRAND OF GEL NAIL OR SHELLAC AND USE IT WITH THIS ONE . You’re right it’s definitely all in the technique. I love how long it lasts now that I’ve gotten the hang of it, and can’t wait to get more colours. Thanks for commenting!